Vienna University of Economics and Business, founded in 1898, is the largest educational institution in the European Union in the field of economy and business, social sciences, and business law. 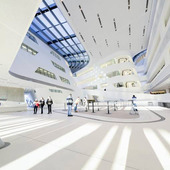 Vienna University of Economics and Business provides tuition for more than 25 thousand students from around the world. All the buildings and classes are equipped with the latest technologies. Different scientific conferences and symposiums are held there. 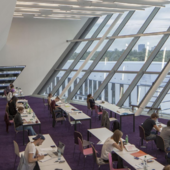 University Library is considered to be the largest library in the economics area in Austria. Tuition fees at the Vienna University of Economics and Business depending on the student's nationality varies from € 18 to € 744 per semester.